18 თებერვალს, დილის 10:00 საათზე ჩრდილოეთ ამერიკის ყოვლადუსამღვდელოესი მეუფე საბა აღავლენს ივერიის ყოვლადწმიდა ღვთისმშობლის და ტორონტოს ივერიის ღვთისმშობლის ტაძრის სადღესასწაულო საზეიმო ლიტურგიას. 18 თებერვალს, დილის 9:30 საათზე, ჰავაის ივერიის მირონმდინარე ხატი მობრძანდება ტორონტოში ივერიის ყოვლადწმიდა ღვთისმშობლის ეკლესიაში. 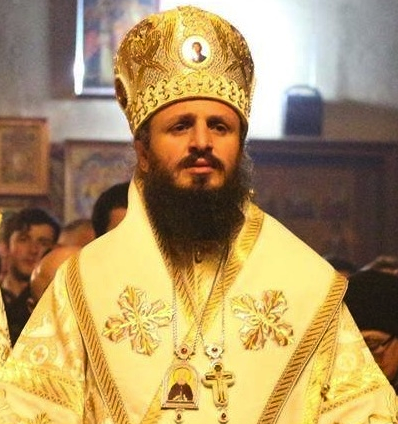 18 February, His Grace Bishop Saba of North America Georgian Orthodox Church will be leading celebration of Iveron Icon Holy Liturgy! 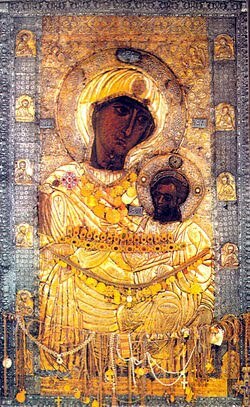 The Wonderworking and Myrrh-streaming "Hawaiian" Iveron Icon of the Theotokos will be arriving to Iveron Icon of Mother of God Georgian Orthodox Church 18th of February at 9:30am. From thy Holy Icon, O Lady Theotokos, blessed myrrh has flowed abundantly. Thou hast thereby consoled those, in exile, faithful unto thee, and hast enlighten the unbelievers by thy Son's light. Therefore O Lady, with tears we bow down to thee. Be merciful to us in the hour of judgment. Lest having received thy mercy we be punished as those who have been contemptuous of it. But grant us through thy prayers to bring forth spiritual fruit, and save our souls"